I have been interested in the R&R luxury brand for a while now, for over a year actually. Their packaging and the fact they made everything in Nigeria got me really really interested. So, I put some effort into buying some of their products in 2015, I had someone coming over to the UK at the time so I wanted her to bring some of their things along with her. I chose payment on delivery on checking out and put in an Enugu address. The money for these items were given to a security man at the gate of the provided address so that he would receive and pay for the items once they came. However I got an email stating that my order was in Enugu but will not be delivered unless payment had been made to a provided bank account number. I was shocked, since I'd never heard of anything like this when it came to payment on delivery. The security man also could not leave his post to go make payment and there was no time for the person coming over to go make a bank payment either but just as I had found someone to make the required trip to the bank, the order was cancelled, without notice. I just decided to put off trying their products till I moved back to Lagos. I needed a new candle about 5 months ago so I decided to try the brand again, this time by going to their store in Lekki phase one. I entered with the intention of buying just one candle but ended up leaving with two, yup, I was that impressed. Green Papaya was my first pick but then I decided to smell Marrakech Nights (The one in the brown jar) just as I was about to pay and couldn't leave it behind. Marrakech Nights was the more expensive of the two, it sold for N5,000 while Green Papaya sold for N4,500. 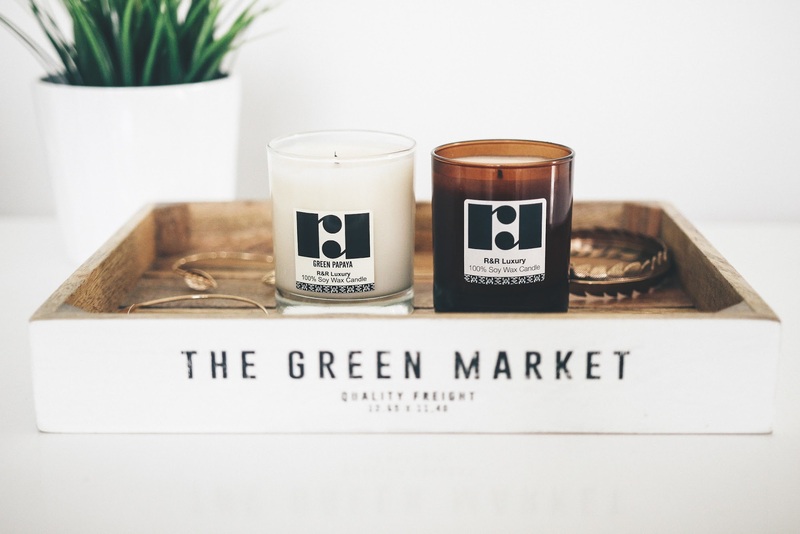 It does not state on the candle jars or on their website how many grams of product you get with these candles but I believe that they should last you a while. They are soy candles so they burn a lot slower and more even than regular wax candles. Their is also no description of the different scents on the jars or on their website and this was kind of a disappointment since I would have loved to know what they had in Marrakech Nights. 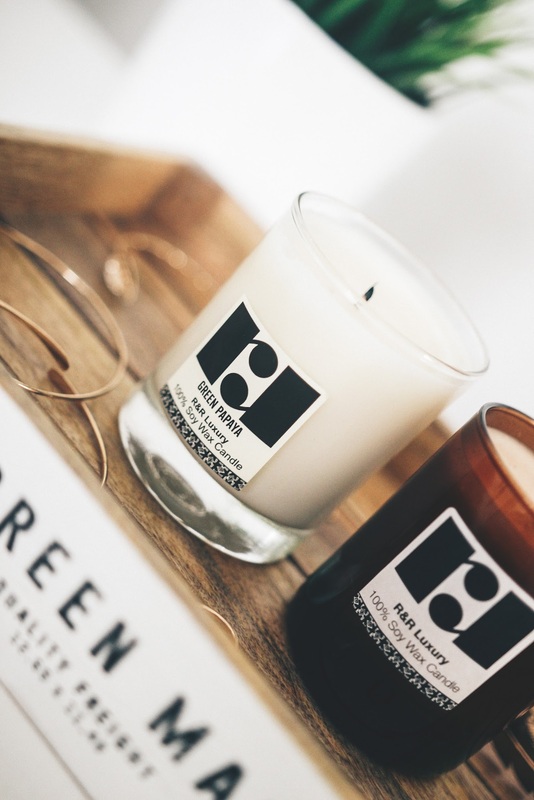 I at least think that there should be green papaya in the Green Papaya candle. However, I still believe that these candles are top notch, one of those things that you would gift your non Nigeria friends with confidence. Marrakech Nights has a very exotic scent and it floods the room with very happy memories for me while Green Papaya has a very clean calming scent. They are available for purchase on the R&R Luxury website. 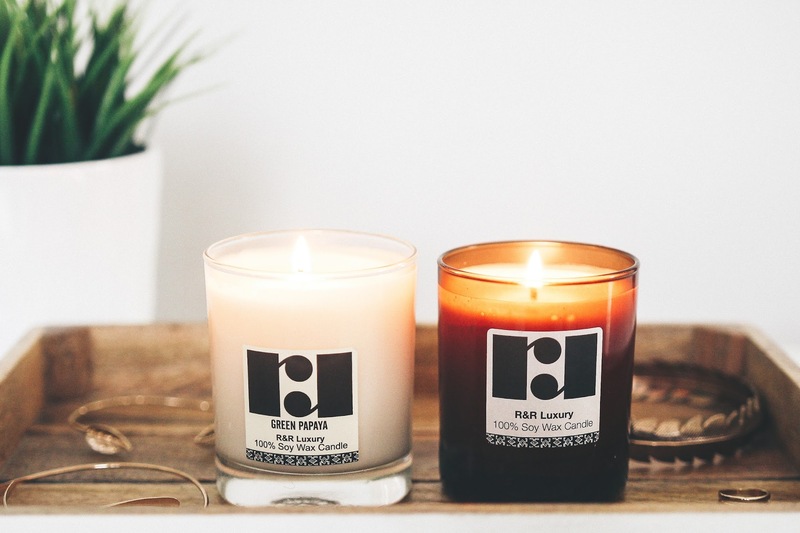 Have you tried anything from R&R Luxury? I use their oils, the lemongrass oil and coconut oil, they are really nice I love the smell of lemongrass!!! I'm currently obsessed with candles. I'm definitely going to try out this brand, thanks for sharing! I love their shea butter soaps and oil. I might have the hubby bring some back for me on his next trip to Atlanta. Lol online shopping in Nigeria can be trying sometimes. Marrakech Nights sounds interesting. I'd love to give that a try.